Have you wondered how to use micellar water in your daily beauty routine? Are you curious about its benefits and if it really works? I think you might be surprised how something as simple as a bottle of clear liquid can transform your skin. I am a skeptic when it comes to beauty product promises. So when I saw micellar water come to market and all those commercials promising me changed skin, I balked. I mean it’s water, right? I quickly forgot about it and chalked it up to just another beauty trend that would be gone as quickly as it came onto the scene. 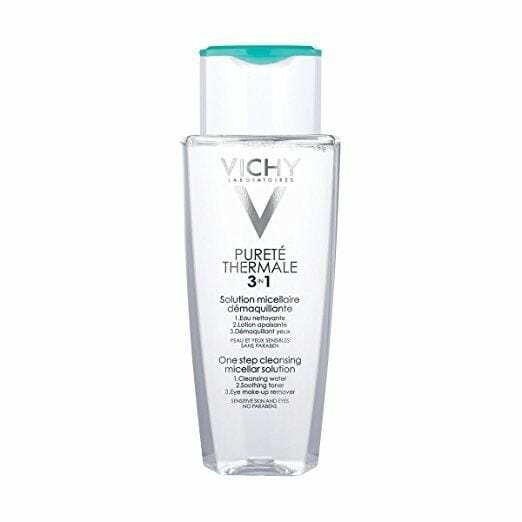 I’ve been using Vichy Pureté Thermale 3-in-1 One Step Micellar Cleansing Water. It’s soap-free, alcohol-free, colorant-free, pH-balanced, allergy-tested, and non-comedogenic. Plus it’s suitable for sensitive skin and safe for contact lens wearers. Let’s start first with what this product actually is. Micellar water contains micelles, which are tiny balls of cleansing oil molecules, and they’re suspended in soft water. So although it looks like it’s just water, if you pour a little on your fingertips and rub, you can tell it’s more than water. Those little balls of cleansing oil are attracted to the dirt and oil on your face and help draw out the impurities without the harsh results of some cleansers. Some cleansers can strip your skin of the moisture it needs, but micellar water doesn’t and instead leaves you with clean, soft skin. If you have dry or sensitive skin. Micellar Water is a really good product to consider using. In one swipe it can remove an entire face of makeup without stripping your skin of moisture. (Except for heavy foundation and waterproof mascara, in my experience anyway.) It gently removes impurities while leaving your skin clean, hydrated and soothed. If you have oily and acne prone skin, this product can help, but you’ll still want to supplement with a facial cleanser to get your skin really clean. If you often find yourself heading to bed with makeup on because you just don’t have the energy or desire to remove it, micellar water is perfect. It can get the job done quickly and requires no rinsing whatsoever. You just put some on a cotton round, swipe it over your face and you’re done. 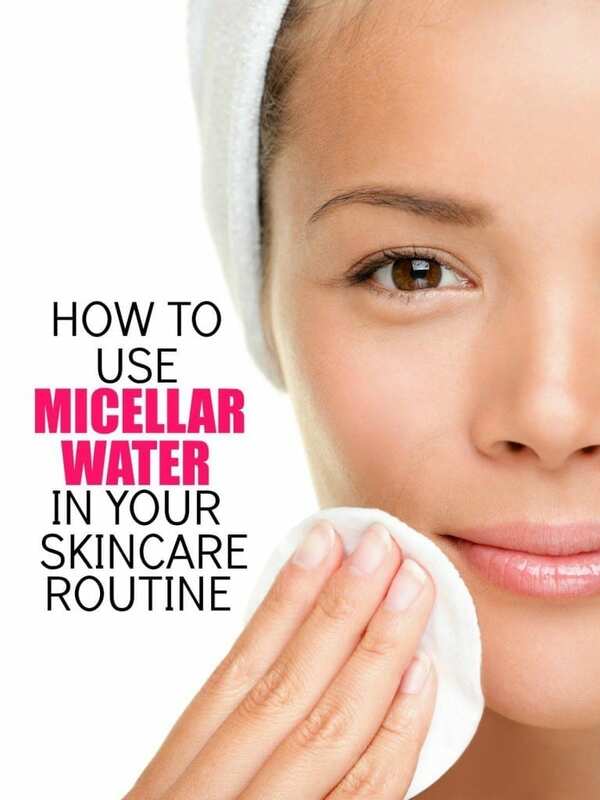 If you often travel and you don’t want to lug all of your beauty products with you (like the ones required for the 10 step Korean skincare routine), micellar water is a great alternative. If you’re camping or traveling where water is an issue, this is the perfect product to use to cleanse your skin. You now know what micellar water is, why it works and what it can do for your skin. Now you need to know how to incorporate it into your daily beauty routine. 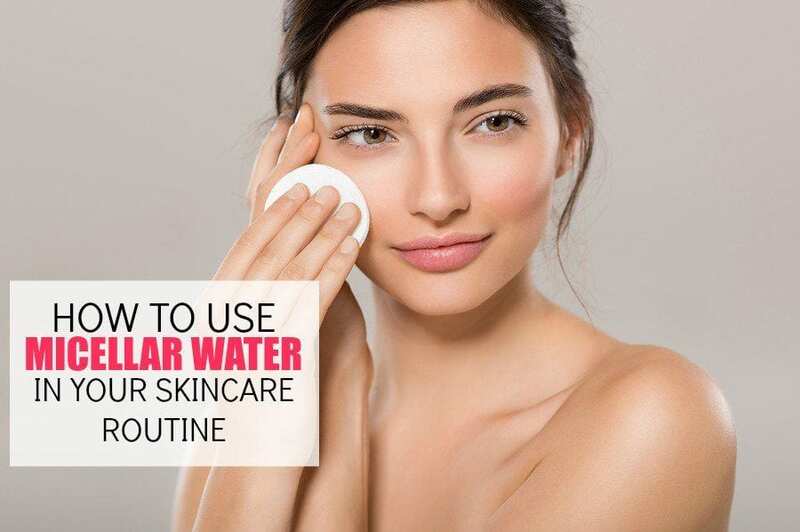 If you’re wanting to streamline your nightly routine, some beauty experts have used micellar water to replace their cleansers, makeup removers, and toner. While I wouldn’t recommend this, it has definitely worked for some. While micellar water does remove makeup, it doesn’t remove heavy foundation and stubborn eye makeup. Try using it as a cleanser, but after you’ve removed your makeup with another product. This is my favorite way to use it and it’s been working great for me: as the first step in my double cleansing routine. Apply some to a cotton ball or round and swipe it over your face and eyes as the first step to removing makeup and impurities. Then follow up with a gentle cleanser to remove the rest. I learned several years ago that yes, I should cleanse my face in the morning. I was just splashing it with some water, but that wasn’t removing what builds up over night. Making this small change made a difference in my skin. My breakouts were less and my makeup looked fresher. Since you don’t need a deep clean in the morning, micellar water is the perfect product to get your skin clean and prepped for the day. Have you tried adding micellar water into your daily skin care routine?